Embrace delivers active tension relief, directly treating the root cause of scarring. When tension is relieved, skin is stabilized and scar formation is proactively prevented. This unique innovation shields your incision from added stresses caused by normal body movements, minimizing the widening and thickening of your scar. Medical grade silicone therapy is proven to help flatten, soften, and fade scars by hydrating scar tissue–a perfect finish to the Embrace 3-in-1 formula. Scar revision involves surgically removing an old scar and treating the new scar with Embrace Scar Therapy, laser resurfacing, or injections. 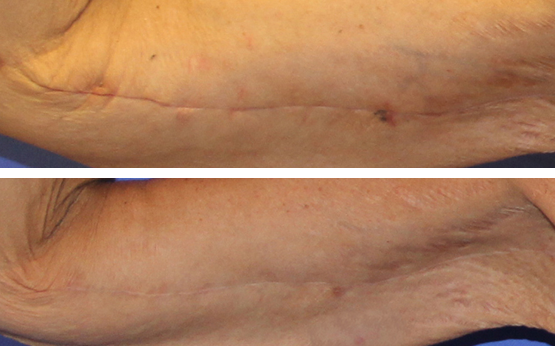 Each patient’s scar will be examined by Dr. Danielpour and Dr. Layke to determine the best procedure for scar revision. What Type of Scars Can Be Revised? Typically, scar revision (and any other procedure) will be covered by insurance if the procedure is medically necessary. 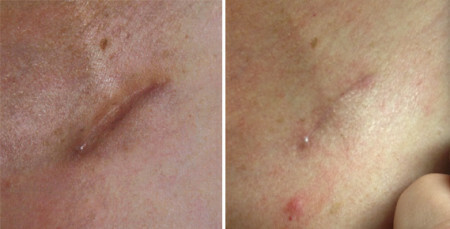 For example, if the scar is causing pain or limited functionality, most insurances will cover scar revision. Examples include scars that protrude out and cause pain due to increased friction or thick raised scars that limit your ability to move. Beverly Hills Plastic Surgery Group will help you submit pre-authorization to your insurance to check if the scar revision procedure is covered. 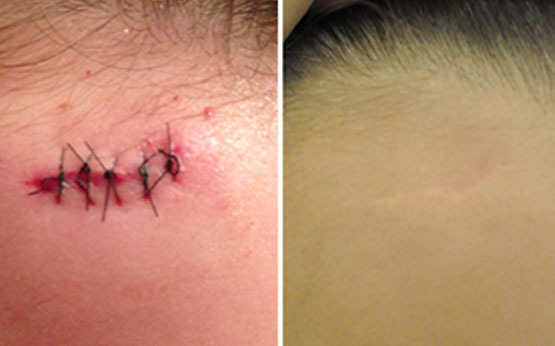 A major and very important part of surgery is dealing with scarring and scar treatment. Scars are sections of fibrous tissue that replace your normal skin after injury. This “scarring” results from a biological process that results in wound repair in skin and other tissues. Though scarring is a natural part of the healing process, Beverly Hills Plastic Surgery Group incorporates Embrace Scar Therapy into our procedures, to promote scar reduction and minimize scarring. Healing is a systematic process, and many aspects of wound healing are still elusive. Hemostasis, inflammation, proliferation, and maturation all come into play as their own unique processes that need distinct attention in order to promote productive healing. Embrace Active Scar Defense is a proven scar management treatment. This treatment consists of two parts: applicator and silicone dressing. Embrace will mend both sides of your closed surgical incision, which will help relieve the tension that causes scarring. Embrace can be used on scars occurring within the past six months. Results will vary, of course, depending on the severity of the scar and how early we are able to incorporate Embrace Scar Therapy. Typical treatment times last approximately 8 weeks, again, depending on surgery and severity of scarring. Embrace has undergone extensive and rigorous studies with patients wanting to reduce appearances of surgical scars. A series of four clinical trials, after various surgeries performed, validated Embrace’s effectiveness and safety, securing exceptional results. * Today, thousands of people have used Embrace to successful ends, a number that grows exponentially each year. Stress-ShieldTM Technology facilitates a low-tension environment for your wound to heal. This same forgiving method has the sturdiness to stabilize your scar from the added stresses caused by your everyday movements and environments. Stress-Shielding will successfully minimize your scar’s widening and thickening throughout your entire healing process. The importance of silicone in daily life is indisputable. Only now is silicone and its compound recognized for its importance. Along with the other proprietary components, Embrace Scar Therapy uses restorative silicone for its preventative scar treatment. Silicone will soften, flatten and fade your scar tissue by moisturizing while healing. 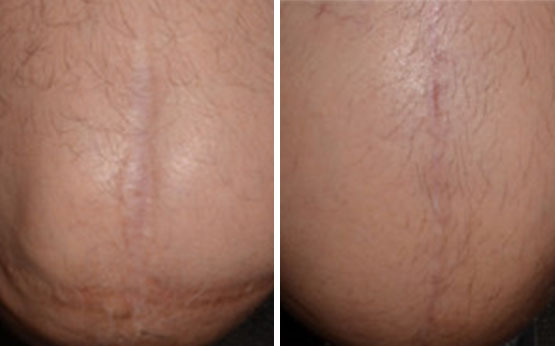 From minor cuts to tummy tucks, Beverly Hills Plastic Surgery can give your aesthetic enhancement treatment a fantastic finish with Embrace Scar Therapy. Embrace delivers precise, reliable tension, ensuring consistently optimal results with our patients: quick and easy–applied in just minutes–by you, in the comfort of your home. Call Beverly Hills Plastic Surgery Group today if you’d like to know more about Embrace Scar Therapy and how it can diminish unwanted scars from surgical procedures. We’ll schedule your initial consultation, develop realistic yet ambitious goals, and determine the most effective ways we can reach those ends for you.